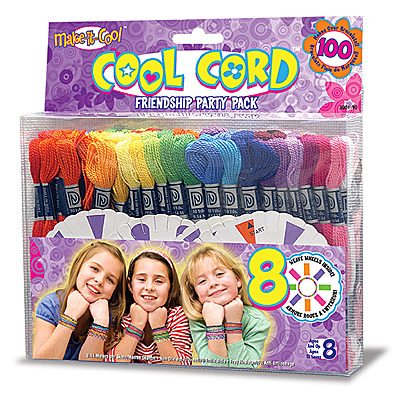 Cool Cord: Our "Make it Cool" Friendship Party Pack makes over 100 bracelets! Simple lifting and turning motions make bracelet weaving fun and easy to do. Make them, wear them, or give them to a friend. 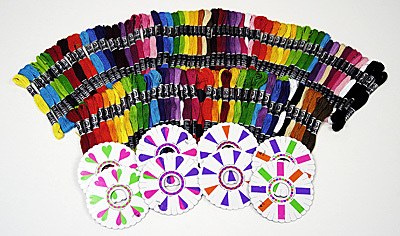 Create head bands, key chains, and other fun projects too. 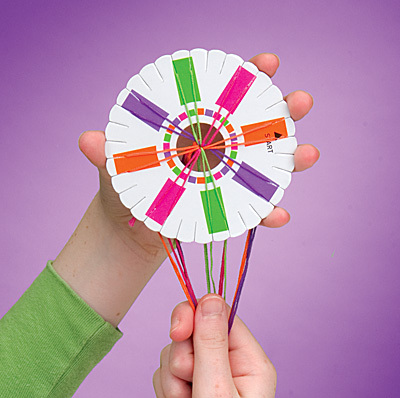 Great for everyday activities or making at birthday parties for the coolest take-home party favor! Kit Includes: 8 weave wheels (4 patterns), 105 skeins / 36 colors of non-divisible fray resistant craft quality thread at 9.14 meters per skein, and instructions. Click here to watch our Cool Cord Video! Click here to watch a product review!